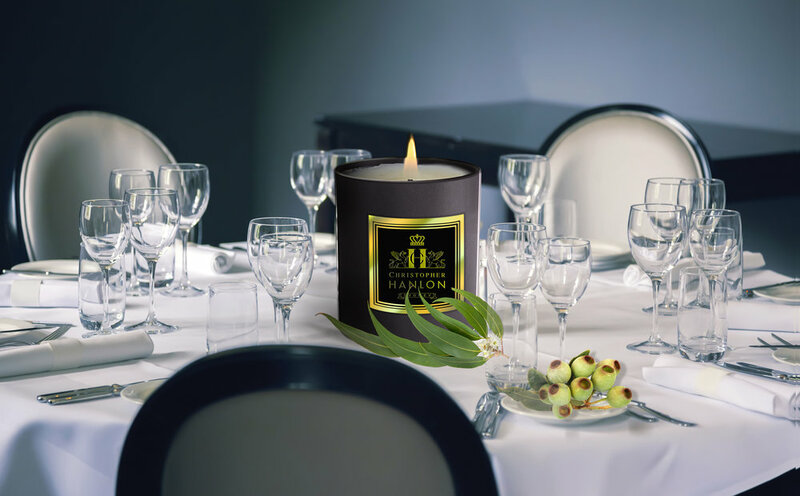 ENJOY THE DECADENCE OF THE FINEST HAND POURED CANDLES IN THE COMFORT OF YOUR PRIVATE ESTATE OR INTERNATIONAL CORPORATE OFFICE. A TREASURED GIFT TO SET THE SCENE AND CREATE AN AIR OF SOPHISTICATION. INTERIOR BOTANICAL PERFUMES SELECTED EXCLUSIVELY FOR YOU BY CHRISTOPHER HANLON® FROM THE LIMITED EDITION COLLECTION .